Nancarrow a Farm is a 100 acre organic farm at Zelah near Truro. It is a family farm with four generations still living there, producing lamb, beef and pork in the traditional way without using fertilisers or pesticides. Their Feast nights are highly regarded by my friends and family and I decided it was time to try one for myself. 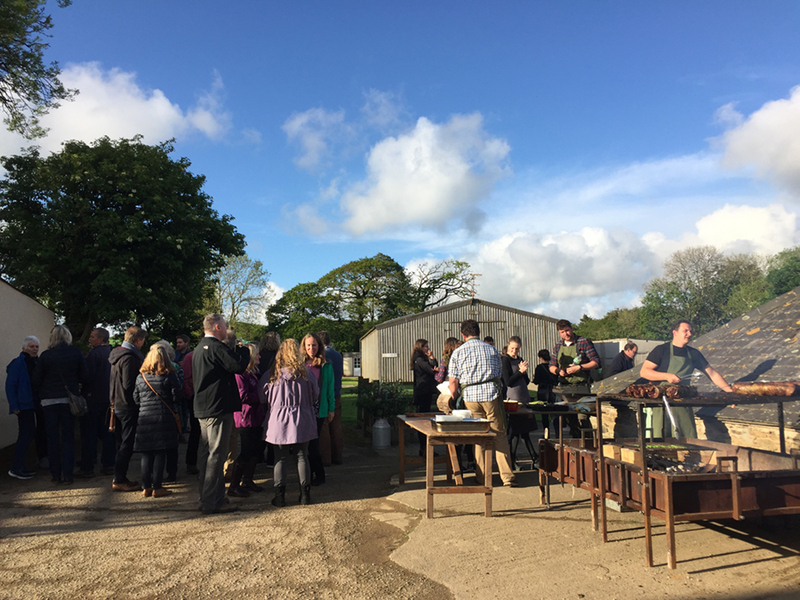 The Feast I booked was a diversion from the norm, a moveable Feast in fact, at nearby Tregassow Asparagus farm, St Erme near Truro. Asparagus has a very short season from April to June and Tregassow has a reputation for growing some of the finest tasting asparagus in the country. 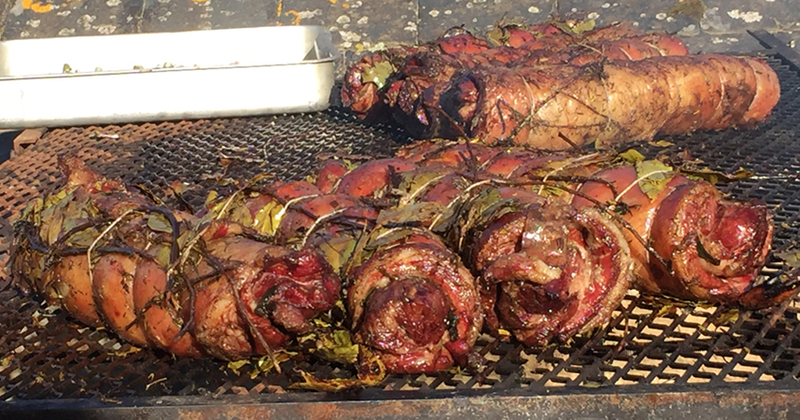 The evening began with a gathering around the massive outdoor barbecue laden with lamb noisettes and emanating the most delicious aromas. 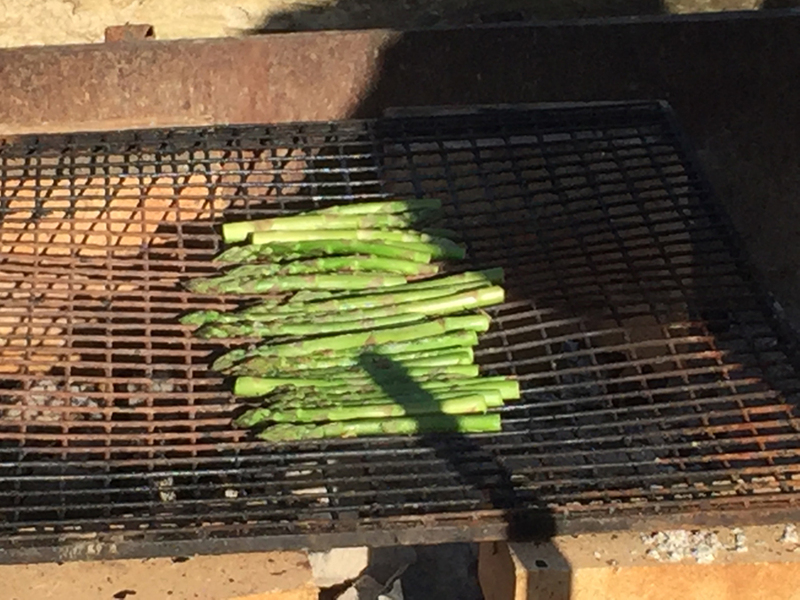 Busy chefs were preparing our starters of Ash roasted onion and Helford white cheese on sourdough bread and Tregassow Asparagus with Hollandaise sauce, washed down with delicious white port. After much sampling, mixing and chatting with fellow food lovers, we meandered down into a most beautiful scantle slate roofed barn, which must surely have been hundreds of years old. Inside were enormous, long tables decorated with wildflowers and lit by candles. 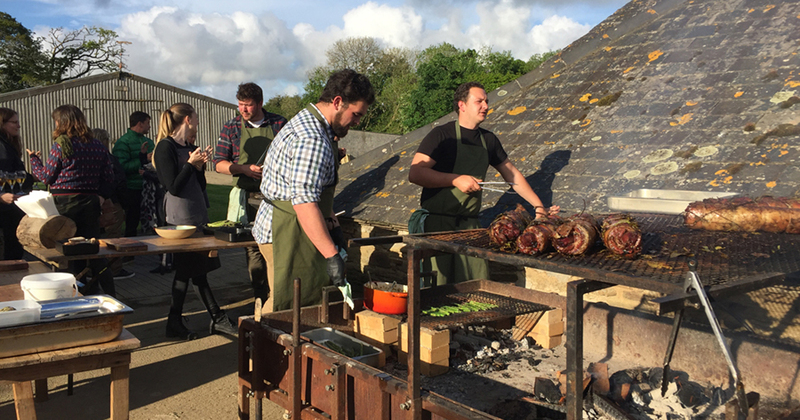 Here we were served the Feast, which consisted of chargrilled asparagus, Nancarrow beef and Cornish feta with a lemon confit, followed by the noisettes of lamb stuffed with wild garlic, Cornish new potatoes and a delicious green salad. Dessert was baked lemon cheesecake with rhubarb, orange and almonds and a home baked shortbread biscuit. I shall be back for more ……………….